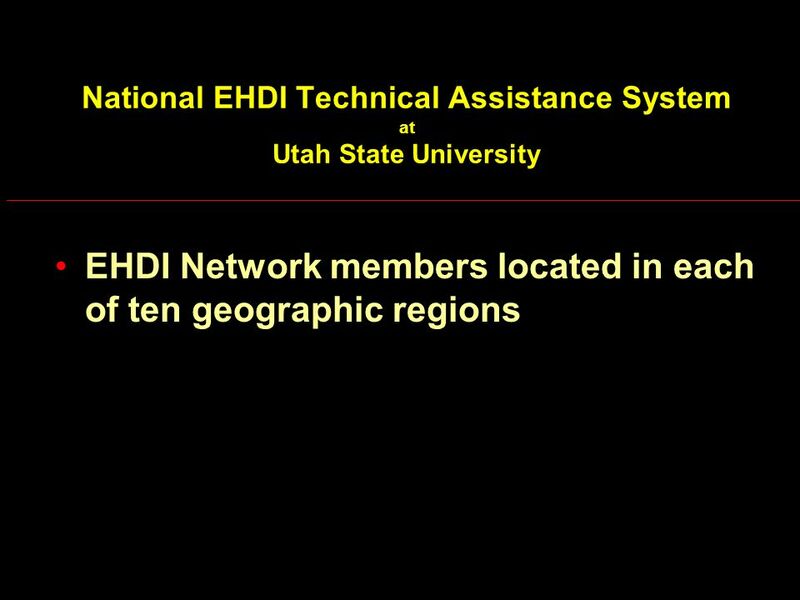 National EHDI Technical Assistance System at Utah State University. 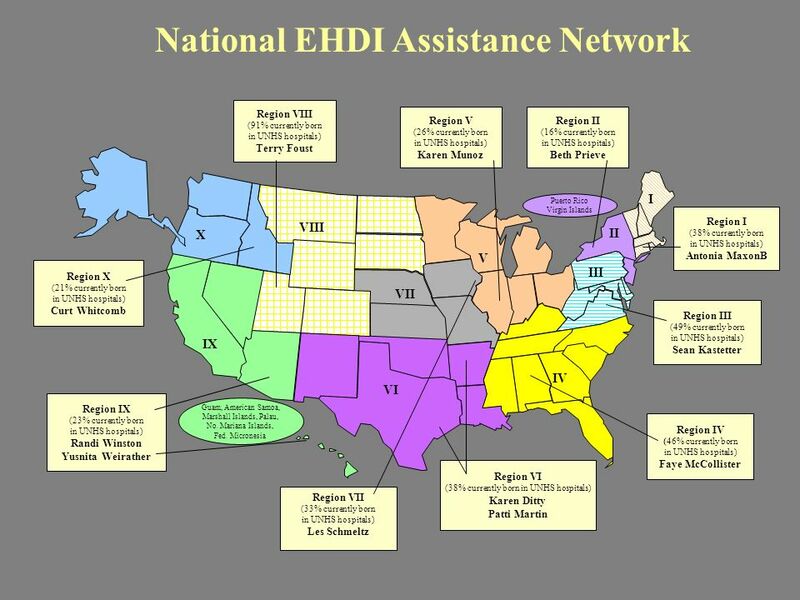 12 Analysis of Reimbursement for EHDI-Related Services Medicaid Managed Care Contract Provisions for EHDI (42 states) –All state Medicaid contracts included provisions for hearing screening as part of their EPSDT –Only 26% states EPSDT requirements were consistent with national standards for objective hearing screens for newborns. For the post-newborn period, 19% were consistent with national standards. 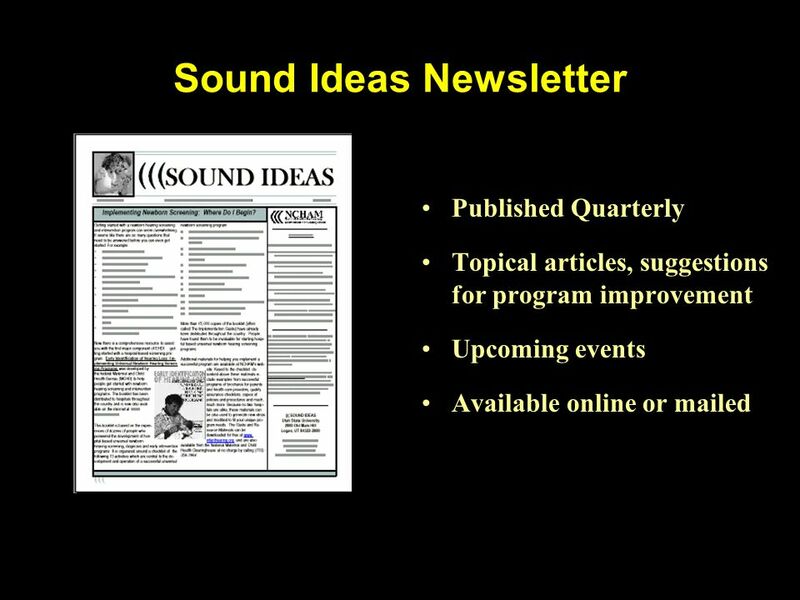 –States much more likely to specify subjective rather than objective hearing screening requirements as part of the routine EPSDT screen. 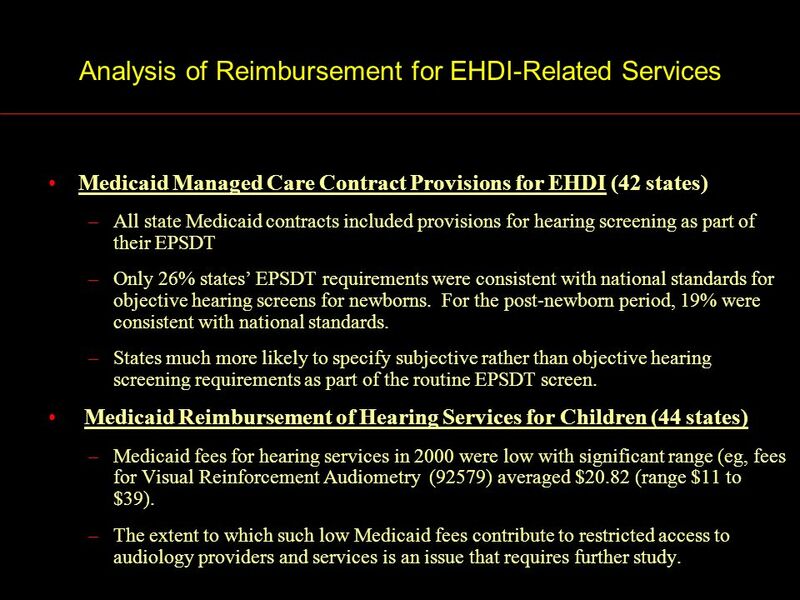 Medicaid Reimbursement of Hearing Services for Children (44 states) –Medicaid fees for hearing services in 2000 were low with significant range (eg, fees for Visual Reinforcement Audiometry (92579) averaged $20.82 (range $11 to $39). –The extent to which such low Medicaid fees contribute to restricted access to audiology providers and services is an issue that requires further study. 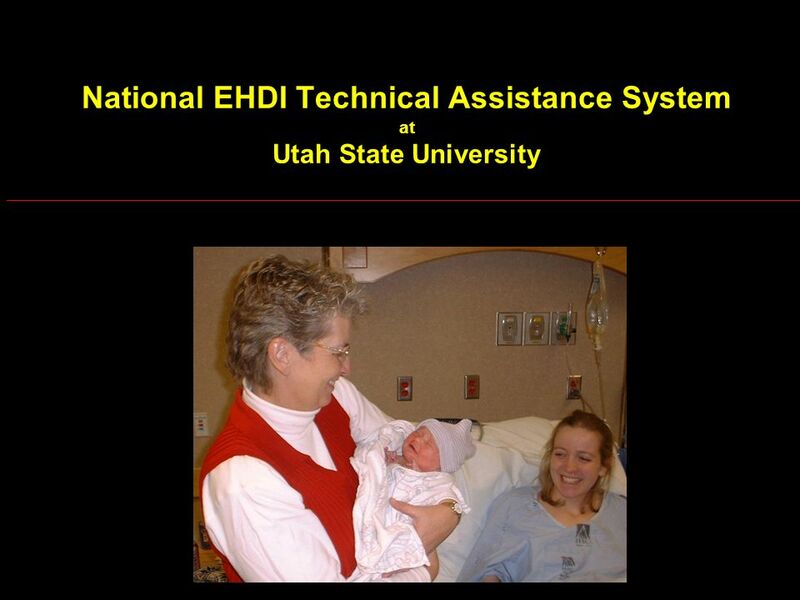 Download ppt "National EHDI Technical Assistance System at Utah State University." 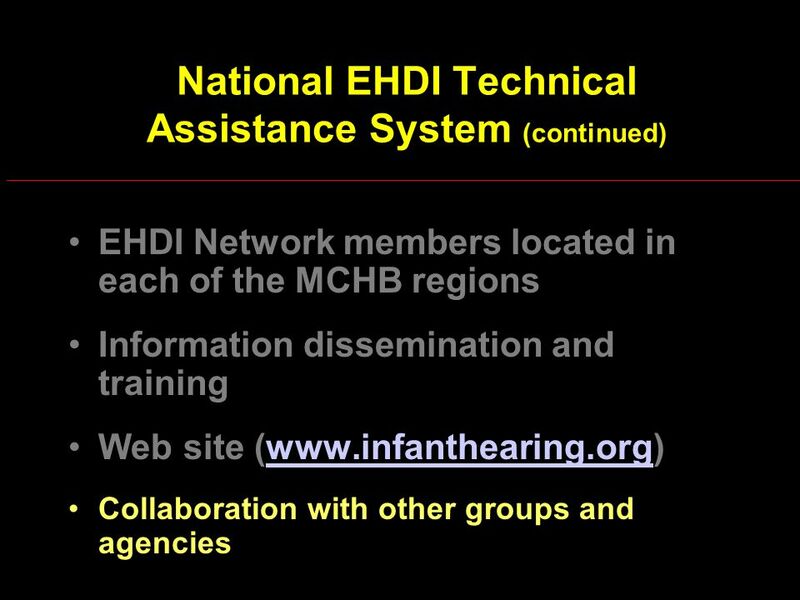 Primary Goal I - Identification/Screening1 month D - Diagnosis/Evaluation3 months E - Early Intervention6 months A - Additional Assessment(s) L - Linking. 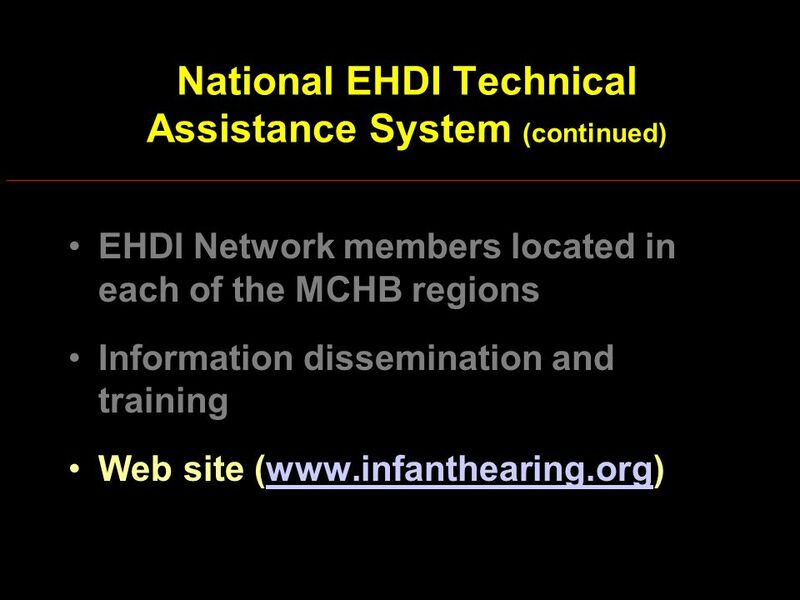 The Status of Early Hearing Detection and Intervention in the United States. 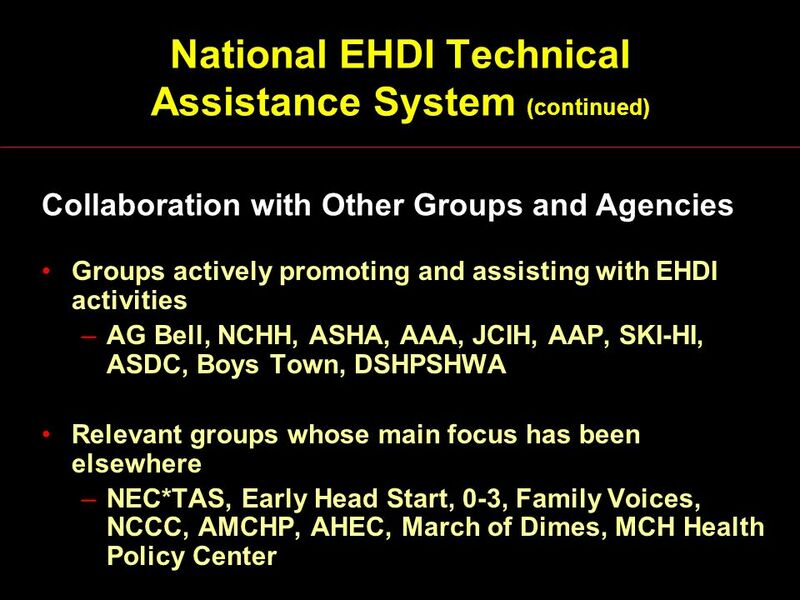 STRATEGIC DIRECTIONS: Key Informant Interviews with EPSDT Directors Peggy McManus MCH Policy Research Center July 12-13, 2005. MEDICAID REIMBURSEMENT OF HEARING SERVICES Peggy McManus, Ruti Levtov Karl White, Irene Forsman, Terry Foust July 2005. 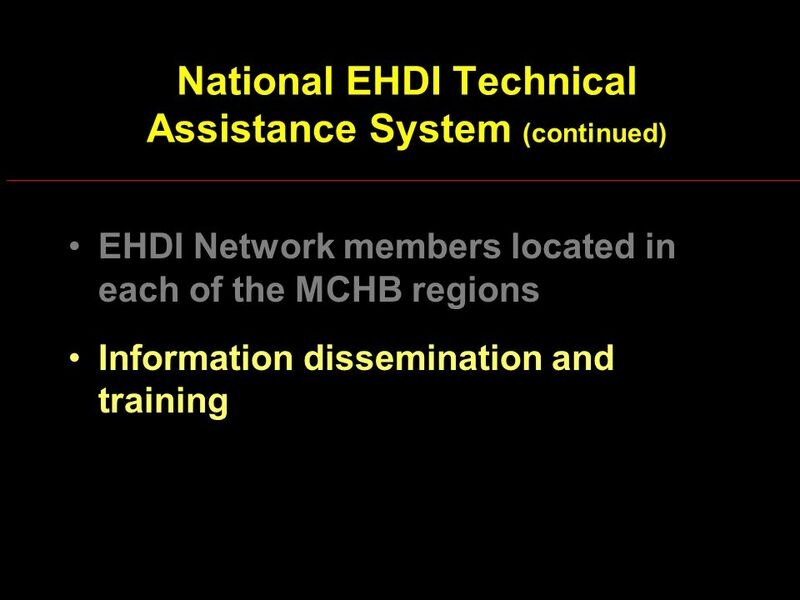 EHDI Information Management Les R. Schmeltz, MS, CCC-A Iowa Les R. Schmeltz, MS, CCC-A Iowa. 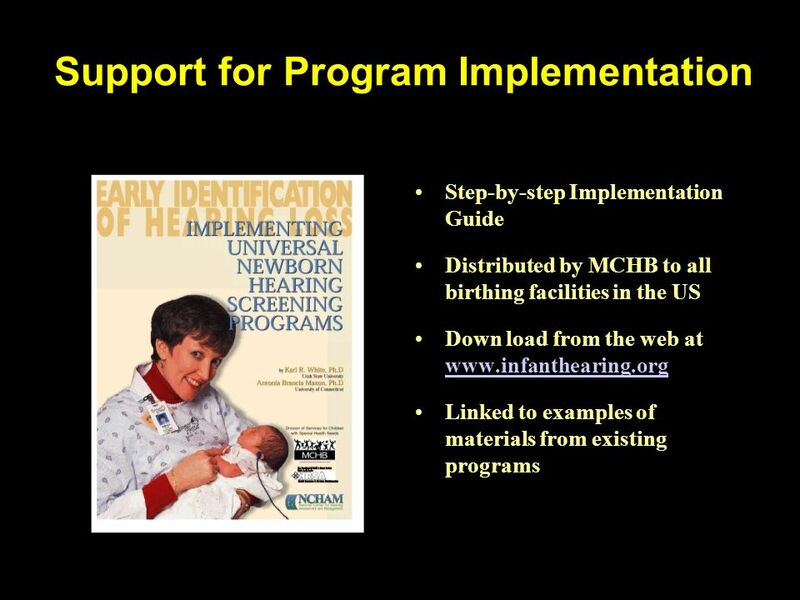 Support for Implementation of Early Hearing Detection and Intervention Programs Les Schmeltz National Center for Hearing Assessment and Management Utah. 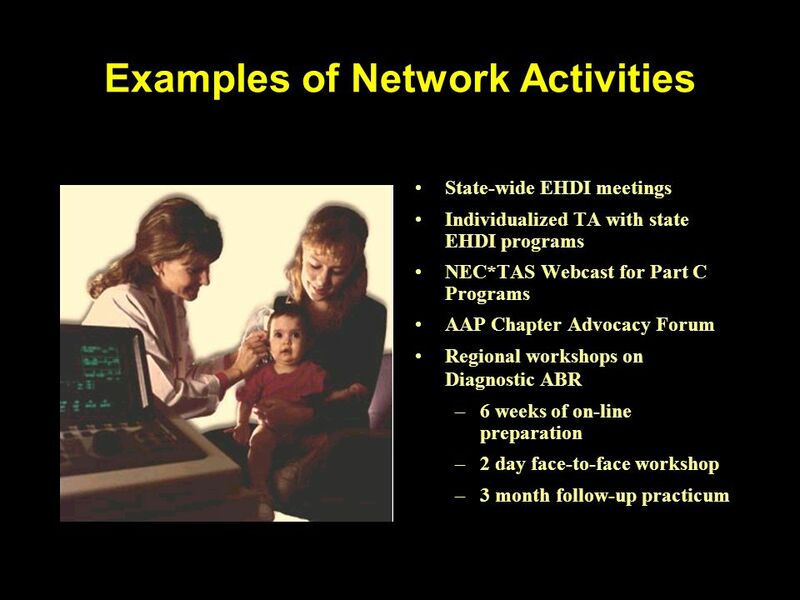 MEDICAID OPPORTUNITIES & CHALLENGES FOR IMPROVING REIMBURSEMENT OF AUDIOLOGICAL SERVICES Peggy McManus Maternal and Child Health Policy Research Center. THE OFFICE OF DATA AND PROGRAM DEVELOPMENT (ODPD) Presentation at the MCHB Partnership Meeting February 2009 Michael D. Kogan, Ph.D. Maternal and Child.